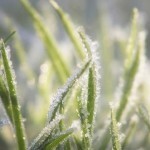 What’s the Difference Between First Frost and First Freeze? During the hot, muggy days of August when the relative humidity is 100% by ten AM, digging fence post holes can get hot. The air is saturated with moisture, so cooling from the evaporation of our perspiration doesn’t take place. The air can’t absorb any more H20. Regardless of how much we sweat we feel the heat. We take more water breaks. As the air temperature goes down with the coming of dusk, the air can’t hold as much moisture, so the excess moisture condenses. In the morning we see it as fog or dew. There’s fog along creeks because it’s generally cooler there but the humidity is often higher. Now it’s October. The temperature is lower but there’s still humidity so the same thing happens, but if the thermometer drops far enough we see frozen dew. We call that “frost”. There are two things to remember about temperature. One is that we generally read it several feet above the ground. Because cold air is heavier it sinks so our garden may be freezing at ground level while the thermometer is still ”officially” reading higher than 32 degrees. Secondly, not all surfaces in an area will have the same temperature. A metal car roof radiates heat rapidly so it’s temperature drops more rapidly than the surface of a black-topped parking lot that has absorbed lots of calories from the sun during the day. Frost could form on the car top before the blacktop. Or before your plants. By the way, an object radiating heat from two exposed surfaces, like a bridge deck or a leaf, cool more rapidly than just one surface. That’s the reason we should heed those “Bridge freezes before highway” warnings in winter. So, we can see frozen dew while the “official” temperature is still above freezing. That’s frost. 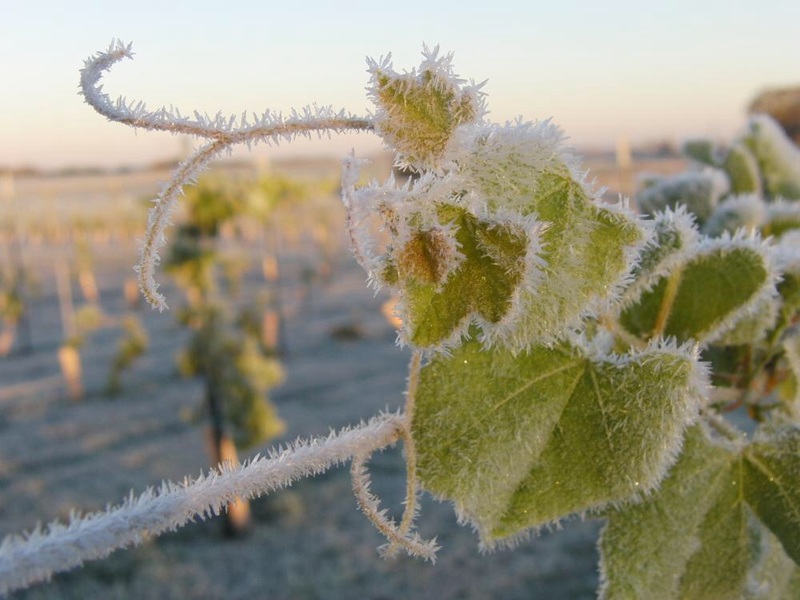 To us gardeners, the “first frost” indicates that temperatures have gotten low enough to damage some of our less-hardy plants. 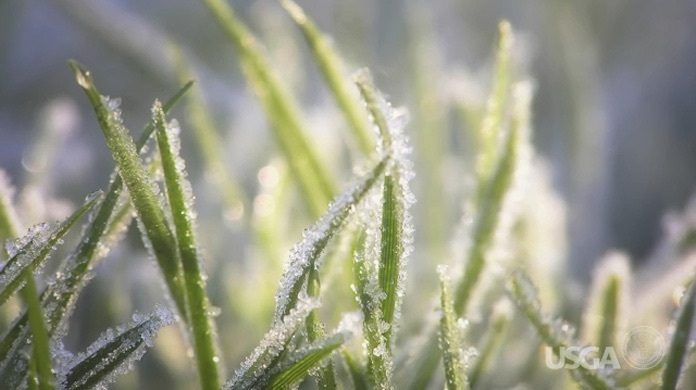 With the “first freeze” the plants at ground level get below freezing and stay there for awhile, like maybe a “hard freeze” at 28 degrees for several hours. That signals that the growing season is over. 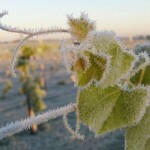 But the first frost was a long time back. Of course in the mountains all weather is local, depending on elevation, north vs, south facing, near a stone wall, etc. So keep your own records and compare with the “official” forecasts. Reprinted from Asheville Citizen-Times “Ask a Gardener” column written by Glenn Palmer, Extension Master Gardener Volunteer, 10/23/2006.